There’s a largely unseen battle raging among consumer advocates, physician groups and some Democrats in Congress over a key benefit in the Patient Protection and Affordable Care Act (ACA) — tax credits that will help millions of people purchase insurance. Consumer advocates are steadfast in their opposition to the rule because it bases affordability on how much an employee might pay for individual coverage, rather than on the cost of covering their entire family. As a result, many workers won’t be able to afford family coverage, yet their spouses and children will be ineligible to get help to buy insurance. Approximately 3.9 million dependents might be impacted, according to one estimate. “The proposed rule excludes people Congress intended to cover,” said Bruce Lesley, president of First Focus Campaign for Children, who sent a letter to Treasury signed by more than 100 advocacy groups, including the American Academy of Family Physicians, the Children’s Defense Fund, the March of Dimes and the National Council of La Raza. The letter asks President Barack Obama and congressional leaders to take “administrative action or legislation” to spell out what Congress intended. Treasury officials are drafting final rules, which are expected to be released soon. “We are working with consumers, businesses and all interested parties to ensure women and families get the affordable care they need,” Treasury Department spokeswoman Sabrina Siddiqui said. Supporters of the proposed rule, primarily employer groups and insurance brokers, say it is in keeping with the wording in the ACA that defines affordability in terms of the cost of “self-only coverage.” Critics, including the National Partnership for Women and Families, say it allows for basing the affordability standard on the cost of family coverage. The group notes that Treasury officials plan to use the cost of a family plan as a basis for exempting some people from penalties for not buying insurance. “It’s unlikely that Congress intended affordability to be determined one way” for penalty fines and another for subsidies, according to the groups. Several Democratic lawmakers who played key roles in writing and passing the law say the proposed rule is not what Congress intended. “The notion that Congress wrote the law in a manner that would exclude many families from access to more affordable coverage…is simply incongruent,” according to Representative Sander M. Levin (D-MI), the ranking Democrat on the Ways and Means Committee, and Representative Henry A. Waxman (D-CA), the ranking Democrat on the Energy and Commerce Committee. Employers and taxpayers have a lot at stake in the way this rule is interpreted. For every worker who forgoes “unaffordable” job-based coverage in favor of subsidized insurance, the employer pays either a $3,000 per subsidized-worker penalty or $2,000 per employee. The government’s stake will be less if more workers retain job-based coverage and fewer people seek subsidies. At the same time, tax credits are the main way the law is expected to help low- and middle-income Americans buy insurance if they don’t have access affordable employer-based coverage. By 2019, for example, the Congressional Budget Office (CBO) estimated that the government will spend $70 billion in tax credits to help 18 million people buy coverage through the exchanges. Workers paid an average of $921 for an individual health insurance policy last year. That equals 18 percent of the total cost of the plan, according to an annual survey by the nonpartisan Kaiser Family Foundation and the Health Research & Educational Trust. An employee’s share of a family plan averaged $4,129, or 28 percent of the total cost. Based on those figures, a worker earning $40,000 will be ineligible to get subsidies because the $921 is less than 9.5 percent of income, even though the cost of the family plan exceeds that cap. In that scenario, the worker’s dependents will be ineligible to receive subsidies. The policy is certain to impact women, who are 2.5 times as likely as men to be insured as a dependent, the hardest, according to the National Partnership. “It will force more people into not having an affordable option,” said Dana Cope, executive director with the State Employees Association of North Carolina. According to Cope, family coverage costs increased the ranks of the uninsured in North Carolina, where the state subsidizes employee coverage, but does not contribute toward family insurance. “State employees…who earn on average $41,000…cannot afford to cover their dependents,” Cope said. The Department of Health and Human Services (HHS) has okayed 94 percent of requests – primarily from sponsors of “mini-med” and other limited healthcare plans – for waivers that excuse them from meeting a key requirement of the Patient Protection and Affordable Care Act (ACA). 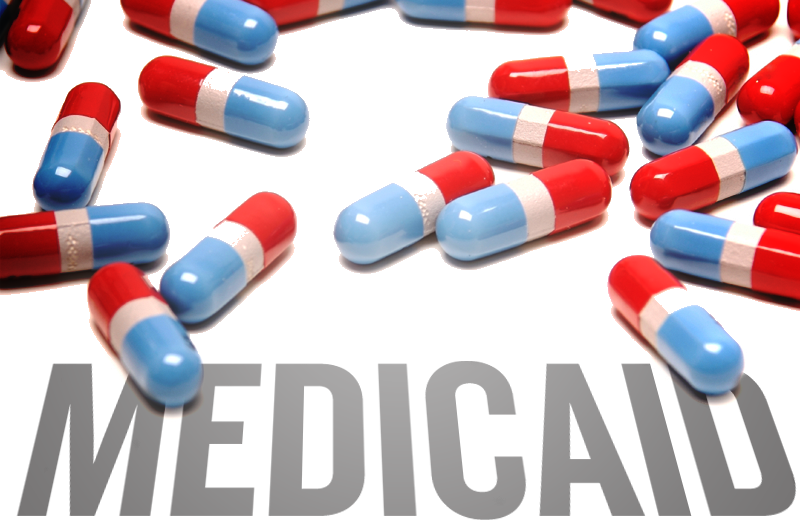 According to HHS Secretary Kathleen Sebelius, the waivers are needed because most mini-med plans do not meet federal rules mandated by the healthcare reform law, which establishes a minimum yearly dollar limit on essential benefits that plans must provide in 2011, 2012 and 2013. For 2011, the minimum is $750,000, rising to $1.25 million in 2012 and $2 million in 2013. To date, 919 of 975 waiver applications have been approved by HHS, according to Representative Henry Waxman (D-CA), the ranking Democrat on the House Energy and Commerce Committee. “We are committed to making the waiver process transparent to the public and to make sure workers with mini-med plans are informed about the limited nature of their coverage,” said Steve Larsen, director of oversight in HHS’s Office of Consumer Information and Insurance. “For example, we have required plans that receive waivers to inform their enrollees that their coverage is limited. HHS also helps to ensure transparency by posting a list of the plans that have been granted waivers, so stakeholders understand how they are affected.” To date, waivers have been granted in Florida, New Jersey, Ohio and Tennessee. Members of Congress said that in several other states, insurers and employers will need similar exemptions from some of the law’s requirements. Not surprisingly, House Republicans slammed HHS for granting the waivers, claiming that they are proof that the Affordable Care Act is deeply flawed. “I think it is an understatement to say that these waivers have been controversial,” said Representative Cliff Stearns (R-FL). “Obamacare was sold as all benefit — no downside.” Plans that were granted waivers represent about 2.4 million people, or about one percent of the employer-based coverage market overall, according to HHS. Additionally, House Republicans expressed concern that power over public and private health insurance programs was concentrated in the Centers for Medicare and Medicaid Services, led by an official, Dr. Donald M. Berwick, who has not been confirmed by the Senate. “He is in charge of almost all insurance coverage in the United States,” said Representative Michael Burgess, (R-TX). A Department of Health and Human Services (HHS) study reveals that as many as half of all Americans under the age of 65 have pre-existing medical conditions, which could mean rejection by insurance companies or having to pay more for coverage. According to HHS Secretary Kathleen Sebelius, that totals approximately 169 million people. The report says that, of those Americans who are uninsured, 17 to 46 percent have pre-existing medical conditions, depending on the definition used. Such health problems are particularly common among adults aged 55 to 64 – a group long recognized as a problem spot in the healthcare system, because people of that age tend to have higher medical expenses but are too young to qualify for Medicare. A Democratic analysis, released last fall by Representative Henry A. Waxman (D-CA), then the chairman of the House Energy and Commerce Committee, said that between 2007 and 2009, the nation’s four largest private health insurers denied coverage to about 650,000 people based on their medical history. Ungar’s suspicion eased when he read this additional quote from Zirkelbach. “Most of the Americans included in the figures currently have insurance. They would be at risk,” he said, “only if they needed to change coverage and buy it on their own. People who get insurance through their jobs are guaranteed coverage.” Alter+Care Inspire notes that an additional reason might be people losing their jobs – something to consider at a time when the private sector has been so sluggish.